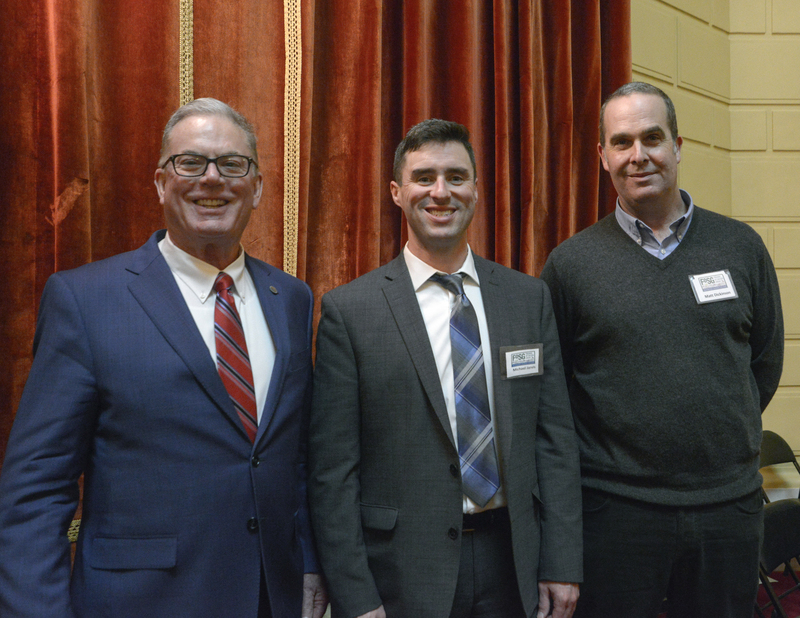 The evening began with a meet-and-greet Reception in the Governor’s State Room at 5:30 p.m. followed by the address at 7:00 p.m.
Matt and Michael were also greeted by FoSG member Rep. Joe McNamara, who introduced them around and made sure they didn’t get the cheap seats. Gov. 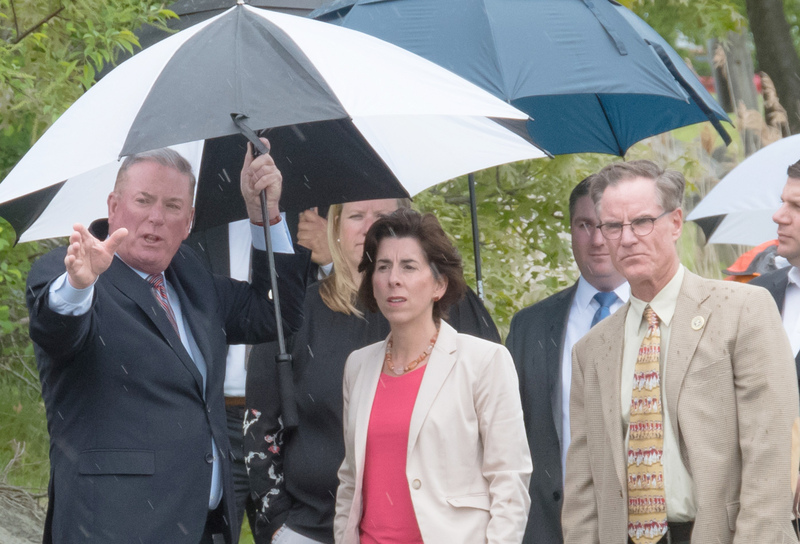 Raimondo, Rep. McNamara and Councilman Rick Corley during a visit to Salter Grove in May 2018. The invitation was extended to FoSG to recognize their commitment to the restoration and conservation of Salter Grove, an initiative which is aligned with the Governor’s continued commitment to the protection of Rhode Island’s green spaces. The Governor had expressed her admiration of the efforts underway at the Grove during a visit in May 2018 where members of the group along with Mayor Solomon and staff shared details of the proposed improvements along with a tour of the park.